A former country school near Essig along U.S. Highway 14. TWICE A YEAR, my husband and I head west from our Faribault home to my native southwestern Minnesota for gatherings with my extended family. We travel solely with destination in mind, not deviating to meander through small towns and explore. 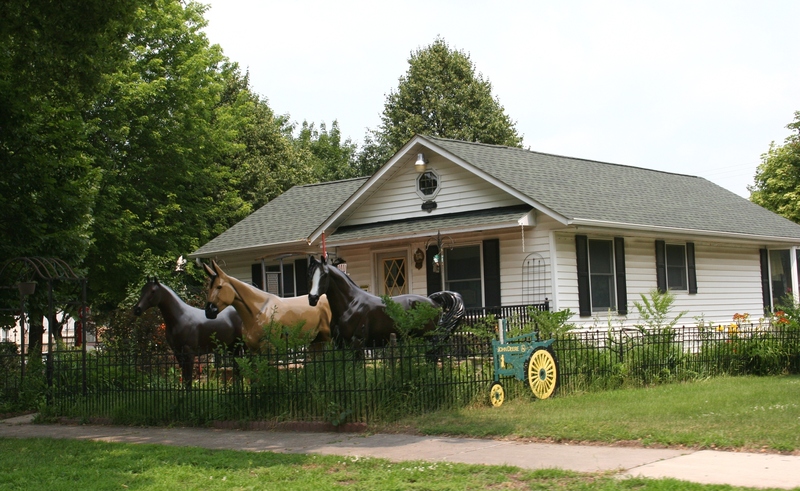 We get on Interstate 35 in Faribault, exit onto U.S. Highway 14 in Owatonna and then follow the Laura Ingalls Wilder Historic Highway all the way to our destination 2.25 hours away in Lamberton. That would be in Redwood County, just 10 miles east of Walnut Grove. Near Janesville, this billboard sparkles in the morning light. Everything along this route is familiar to me from the curves in the highway to the billboards to the farm sites and my favorite barns west of Springfield. While sometimes the drive can seem like forever, especially when wind whips snow to create iffy driving conditions, mostly I enjoy the rural route. 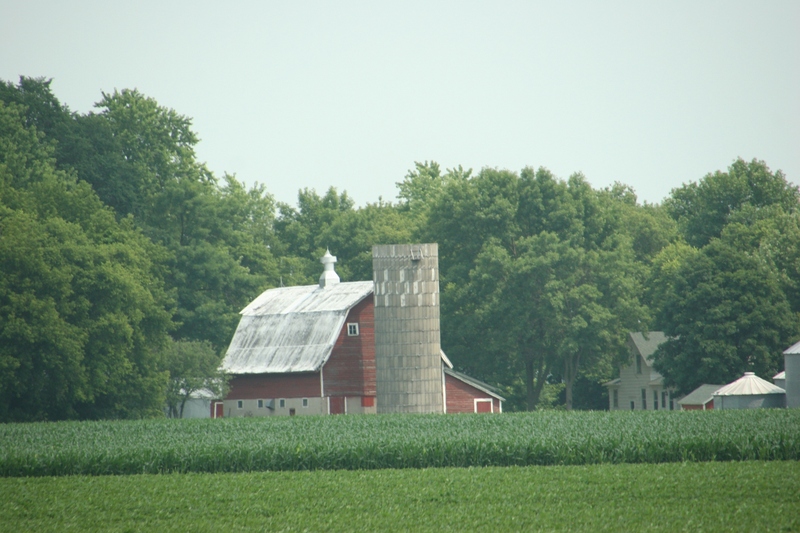 At the beginning of our trip, I photographed this farm site west of Owatonna. The farther west we drove, the greyer the skies became. Enjoy this photo essay along U.S. Highway 14, aiming west toward the prairie into some of our state’s richest farmland as we headed back for the holidays last Saturday. Red barns splash color into the rural landscape, here near Janesville. 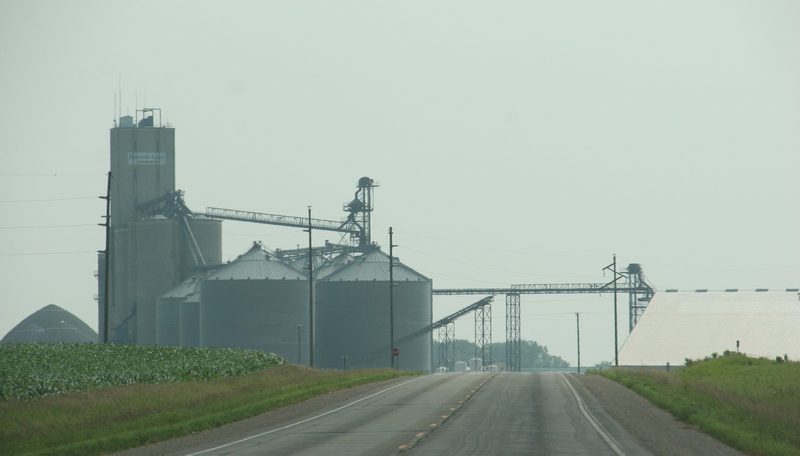 An ethanol plant near Janesville breaks the monotony of farm fields. 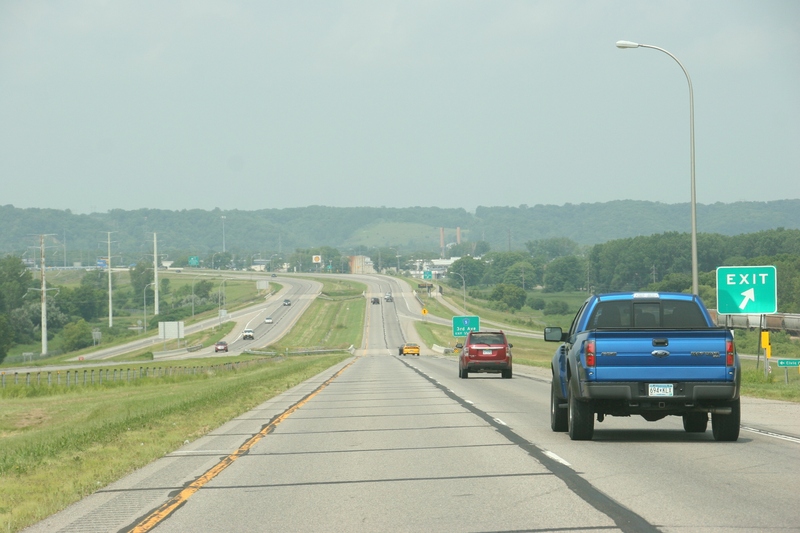 Highway 14 takes us through New Ulm. I spotted this catchy and festive billboard on the west end of town. You know you’re in the heart of farmland when you see a cash corn price posted on a sign, this one at Christensen Farms near Sleepy Eye. This reindeer statue stands along the east edge of Sleepy Eye. It’s there year-round. Weathered by wind and weather, this barn sits west of Sleepy Eye. One of my favorite barns on a farm site west of Springfield. We reach our destination in Lamberton where grain elevators mark this rural community. 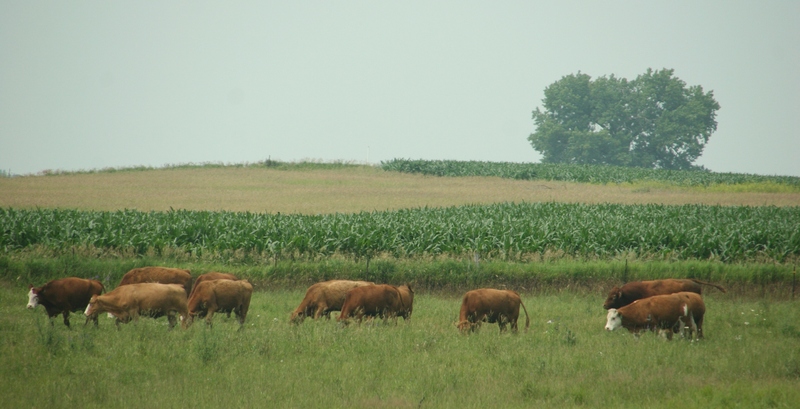 Cattle graze in a pasture along U.S. Highway 14. WHEN I TELL FELLOW MINNESOTANS I grew up on the southwestern Minnesota prairie, specifically near the small town of Vesta, I typically get a blank stare. So, when “Vesta” doesn’t register with them, I mention Marshall to the west and Redwood Falls to the east of my hometown. Both are county seats and fair-sized communities, in my opinion. Driving on U.S. Highway 14 around Mankato traveling through southern Minnesota toward the prairie. Even after dropping those two names, I still often get that quizzical look. It’s as if they have no idea there’s anything west of Mankato. 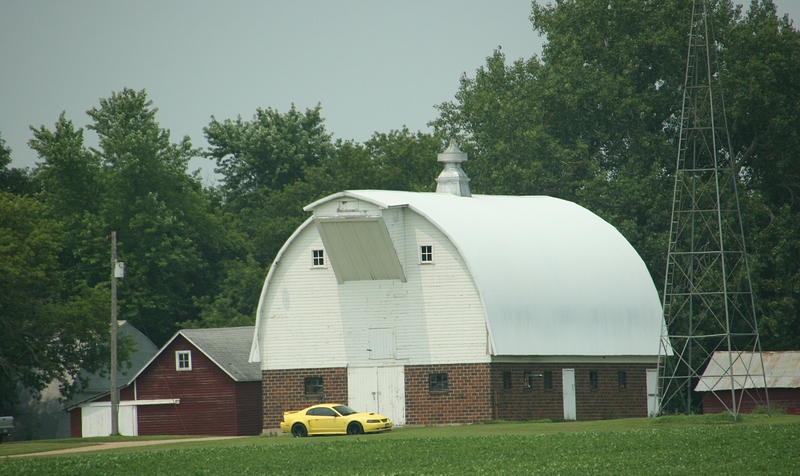 Gotta love this barn between Sleepy Eye and Springfield. Grain storage along U.S. Highway 14. The front yard of Arnie and Velma Schweiss, 1018 North Broadway Street/U.S. Highway 14, New Ulm. But there is. Lots. Land and sky and small towns and oddities and grain elevators, and corn and soybean fields stretching into forever. There are pitch-black skies perfect for star-gazing and sunsets so bold I sometimes wonder why I ever left this land. There are so many beautiful old barns along U.S. Highway 14, this one between Mankato and Nicollet. I understand beauty is in the eye of the beholder. I simply want others to see that this corner of Minnesota, just like the lakes and woods to the north and the rolling hills and rivers to the south and the Twin Cities metro, is lovely and quirky and interesting in a peaceful prairie way. 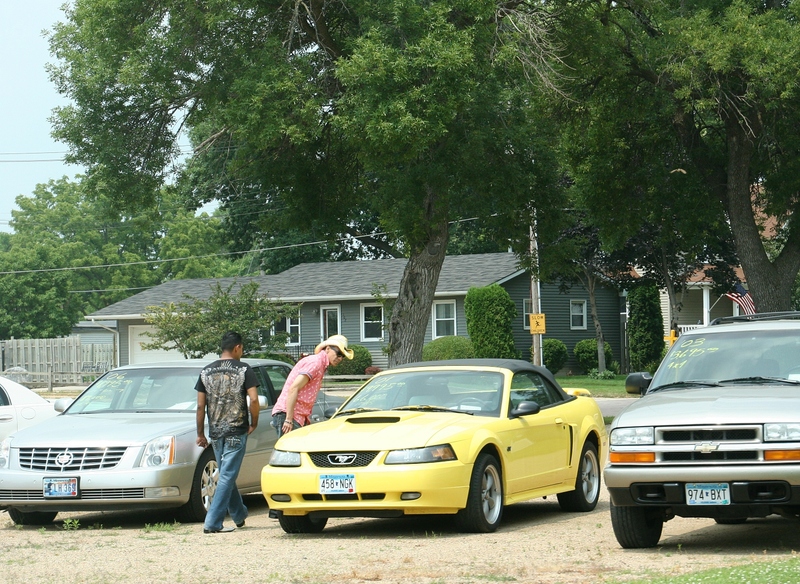 Shopping for cars in Sleepy Eye, one of many small towns along U.S. Highway 14 in southwestern Minnesota. A farm site between Mankato and Nicollet. Baling the road ditch between Mankato and New Ulm. 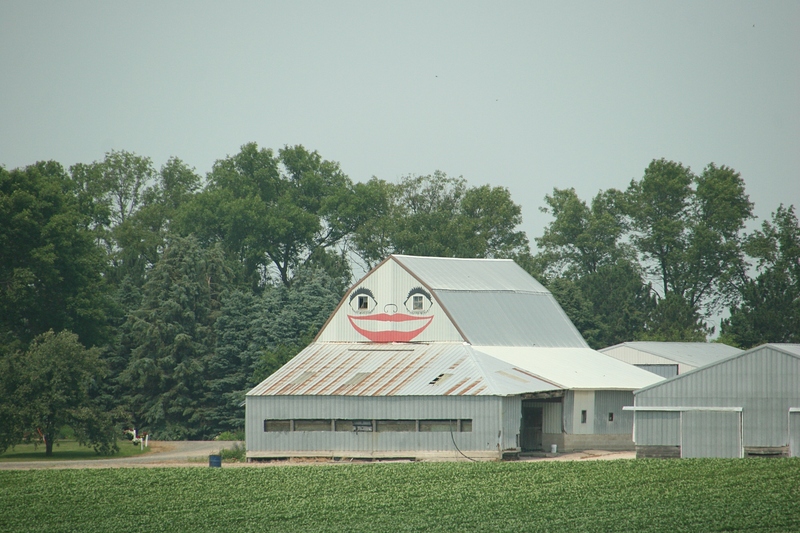 If you appreciate barns, this area of Minnesota offers plenty of barn gazing. FYI: All of these photos are from my files and were taken along U.S. Highway 14 between Mankato and Lamberton. That would be west of Mankato. THIS TIME OF YEAR in Minnesota, roadside stands pop up with a bounty of fresh garden produce. Some are staffed. Some are not. 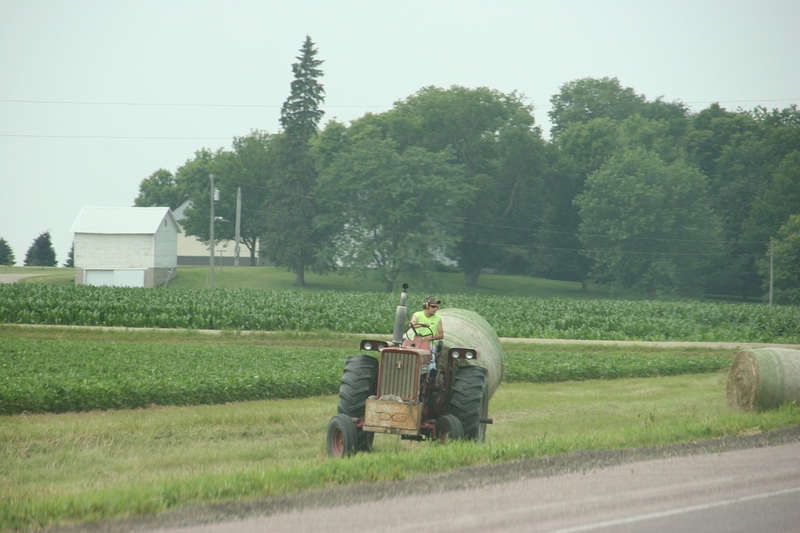 On Sunday evening, Randy and I stopped at an unmanned stand along U.S. Highway 14 as we passed through Courtland (between New Ulm and Mankato) after a weekend in southwestern Minnesota. We needed potatoes and always appreciate newly-dug spuds. Pickings were slim at that time of day. But we found a bag of potatoes for $2 that fit our needs. Randy pulled two bills from his wallet and deposited the money in a mammoth coffee can labeled PUT MONEY HERE. I love this trustworthiness that exists in rural Minnesota. But apparently the gardener doesn’t trust Mother Nature. Inside the coffee can, an over-sized stone weighted the container against the wind. Along a gravel road somewhere between Nerstrand and Kenyon, Minnesota. Minnesota Prairie Roots file photo March 2014. Back then, when spring was emerging green and beautiful here, I assured non-residents that Minnesota is about much more than cold weather. But today I can’t argue with the cold assessment as arctic air settles into Minnesota, plunging temperatures to the single digits above zero. Thank you, Canada, for kicking the cold out your front door toward your neighbor’s property. Me bundled up several years ago for two hours of ringing bells for the Salvation Army in arctic cold. Minnesota Prairie Roots file photo. Fortunately, Minnesotans know how to handle the frigid temps. Along with complaining, we bundle up. At least I do. Fashion isn’t nearly as important to me as warmth. Gone are the days of caring whether a stocking cap will flatten my hair or whether my Northwest Territory boots are in style. Warmth trumps appearance. Yet, apparently you can be “cute and cozy” in outdoor winter attire, according to a Scheels billboard I spotted along U.S. Highway 14 between Waseca and Janesville. The model appears well-cozied in her winter jacket, leggings and boots (which seem more fashionable than practical). I wouldn’t want to be slip-sliding around on the ice in those heels. That all said, I appreciate Scheels’ efforts to convince us that we really can be fashionable in outdoor winter attire. Now if only we could convince the rest of the country that Minnesota is about much more than cold weather. TELL ME: When you think of Minnesota, what word pops into your head? Cold? Snow? Something else? How can Minnesota change its “cold” image? Or should we?